Eric Weber oversees Contact Center operations for the hundreds of administration projects handled in GGG’s 60,000 square foot Dublin, Ohio, facility. Over the past 10 years at GCG, Mr. Weber has spearheaded over 200 cases including many large-scale administration staffing solutions and ramp-ups for Gulf Coast Claims Facility, Deepwater Horizon Economic Settlement, T-Mobile Voluntary Refund Program and the Verizon Wireless Premium SMS. Eric Weber oversees Contact Center operations for the hundreds of administration projects handled in GGG’s 60,000 square foot Dublin, Ohio, facility. 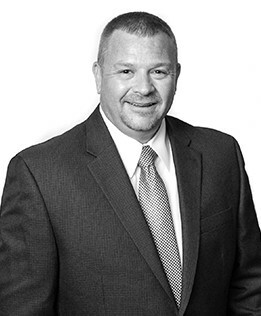 Over the past 10 years at GCG, Mr. Weber has spearheaded over 200 cases including many large-scale administration staffing solutions and ramp-ups for Gulf Coast Claims Facility, Deepwater Horizon Economic Settlement, T-Mobile Voluntary Refund Program and the Verizon Wireless Premium SMS. His years of hands-on experience enable him to provide valuable insight and direction in the development of comprehensive training programs for GCG’s customer service representatives, a team that at one point exceeded 1,000 employees. Mr. Weber has been instrumental in developing GCG’s Contact Center Application (CCA), and in particular, making it more efficient and user-friendly for the center. He also works with all levels of management, across both offices, in the creation and programming of all Interactive Voice Response programs, statistical reporting, TFN reservations, and all CCA set-up. Prior to joining GCG, Mr. Weber directly managed eight Contact Center managers and indirectly supervised up to three hundred agents and support staff for a large nationwide retailer. Mr. Weber was responsible for monitoring direct operating expense and adherence to budgets, enhancing team performance through development and support of strategies tied to outstanding customer service, adherence to quality standards and performance metrics.